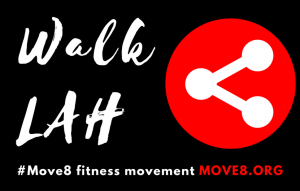 Journey with someone and bring your buddy to the #Move8 Walkathon. Plus! Our Treasure Hunt master has been busy planting clues along the route as well, making every brisk step challenging for the brain and the body! Each edition of the walkathon raises funds for a non-profit partner, so you’ll be walking for a good cause too. Loads of fun, prizes and new friends to meet! See you there! Vietnam Sport Show 2018 is the only large – scale event for Vietnam and international sports associations, manufacturers and traders to exchange, co-operate and get direct access to target customers. The exhibition with a scale of over 300 booths will gather the most outstanding and advanced-technology sports products. Expected to attract more than 10,000 visitors, Vietnam Sport Show 2018 is a great opportunity for sports enterprises to research, enter and develop market share in Vietnam – one of the most potential market. We have a request... We're an independent fitness startup that aims to deliver news, features and articles that can help people in their personal fitness goals. We want to keep our editorial unbiased, well-researched and verified. So you can see why we need to ask for your help. We believe in this cause because we believe we can bring an independent voice to the fitness, wellness and health industry. If you like reading our online magazine, please help support it. Your donation of any amount is highly appreciated and as a token of appreciation, we will send you a download link to our Move8 by AsiaFitnessToday 100-day fitness challenge motivation guide. 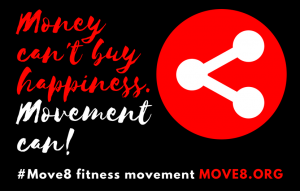 Thank you. . . .
© AsiaFitnessToday.com and Move8.org are brands owned and managed by Go International Group Dotcom Sdn Bhd. Copyright 2018-2019.